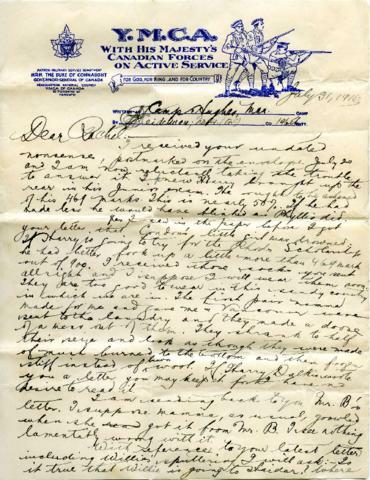 Letter from Private Edward Joseph Seidelman, dated July 31, 1916. Sent from Camp Hughes, Manitoba to Rachel Seidelman of Vancouver. Private Seidelman writes that he was in Brandon, Manitoba the previous week to attend the fair.